CLI Companion is a really useful tool especially if you are a complete newcomer to Linux and Ubuntu and totally unaware of ways to understand command line. 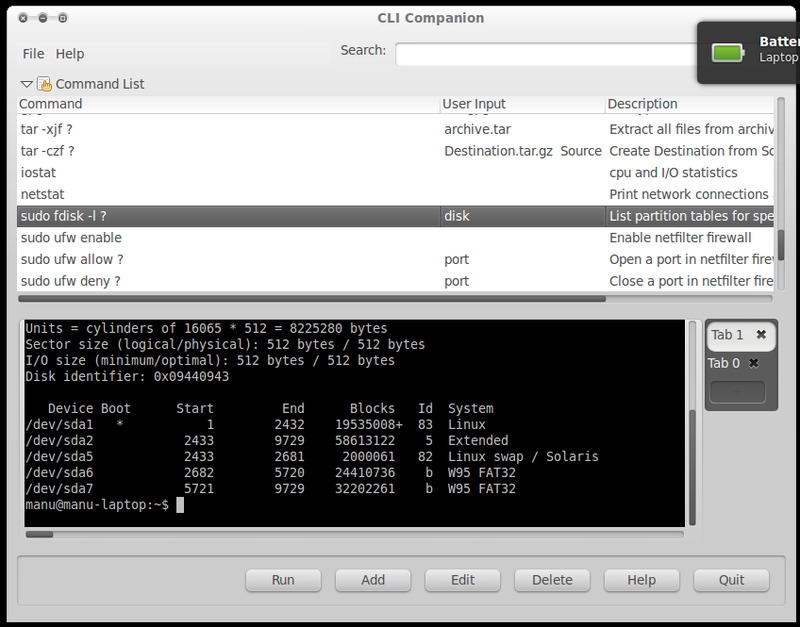 Ironically, CLI Companion lets you learn and enjoy command line using its simple GUI. Search box to easily search for commands. Anyone can easily browse through the commands and 'discover' new ones. Availability of descriptions for each and every command makes this 'discovery' process even easier. More details on the functionalities available here. And double click to install it. Done. If you are an avid command line user, you might also want to try Guake terminal emulator for GNOME. And the theme I was using for the screenshot above is Orta GTK theme.